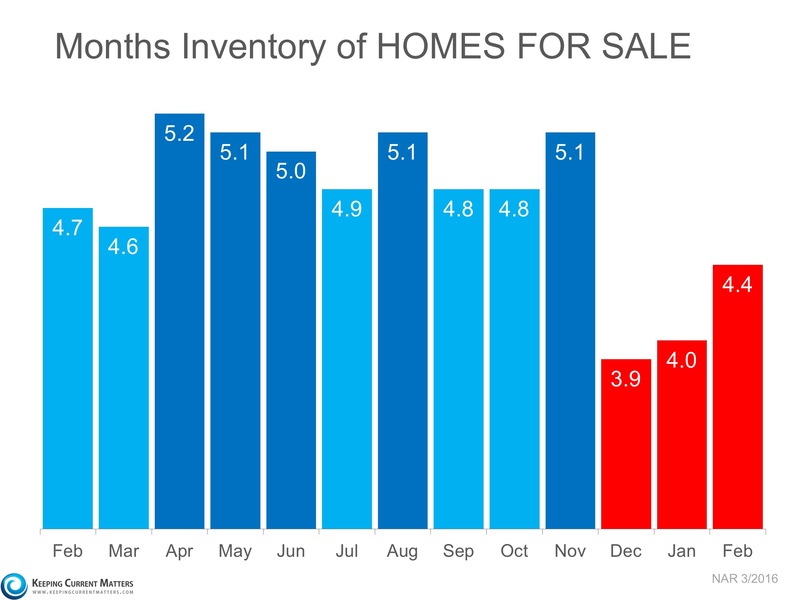 The plethora of information now available has resulted in an increase in the percentage of buyers that reach out to real estate professionals to “connect the dots.”This is obvious, as the percentage of overall buyers who used an agent to buy their home has steadily increased from 69% in 2001. 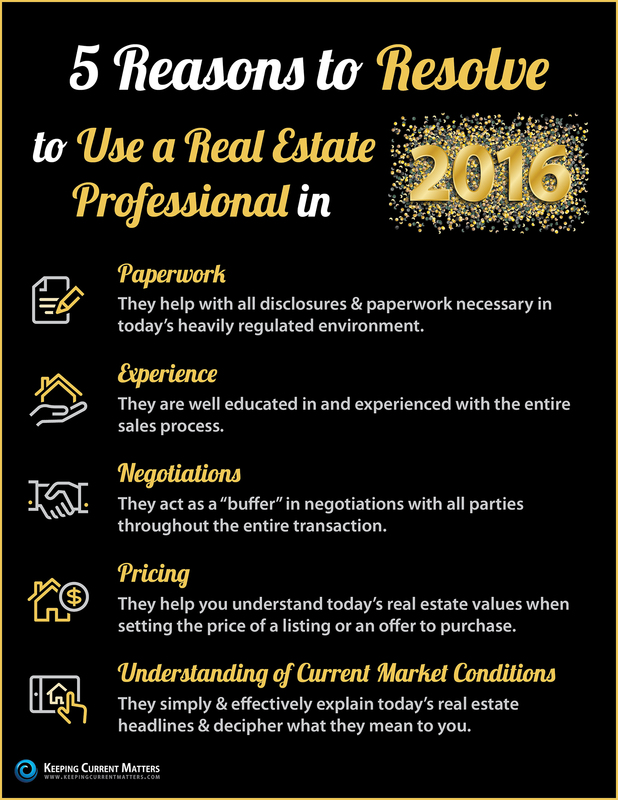 If you plan to buy your dream home or sell your house in 2016, resolve to use a real estate professional! 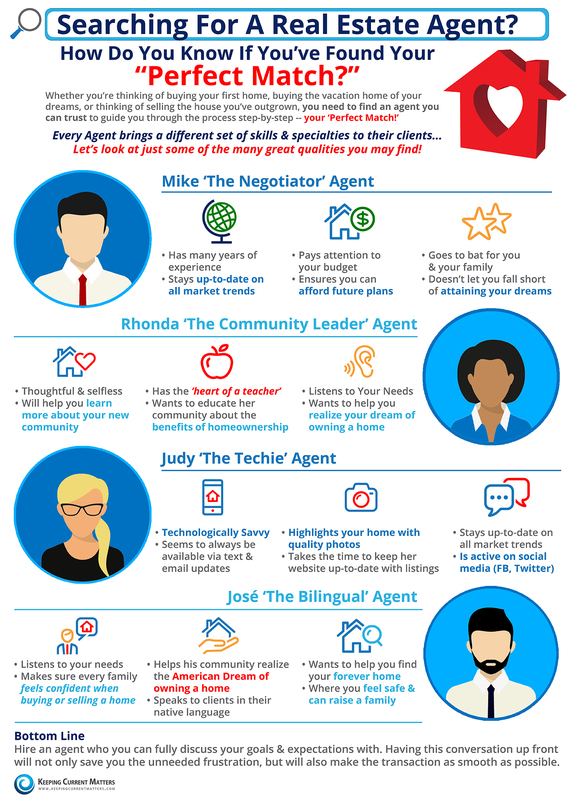 Real Estate Professionals are there for you through the entire process to help with paperwork, negotiations, pricing, and so much more! Too many agents just take the listing at any price and then try to the ‘work the seller’ for a price correction later. Demand that the agent prove to you that they have a belief in the price they are suggesting. 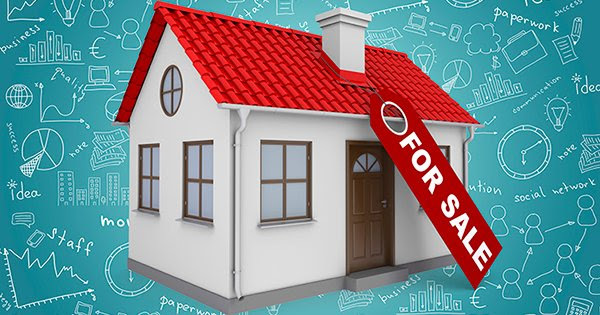 Make them show you their plan to sell the house at that price – TWICE! 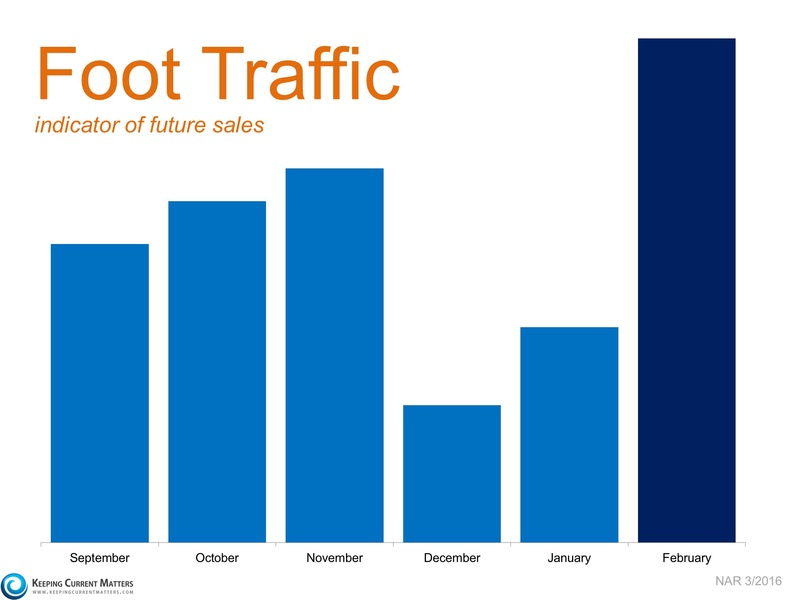 Every house in today’s market must be sold two times – first to a buyer and then to the bank. The second sale may be more difficult than the first. The residential appraisal process has gotten tougher. 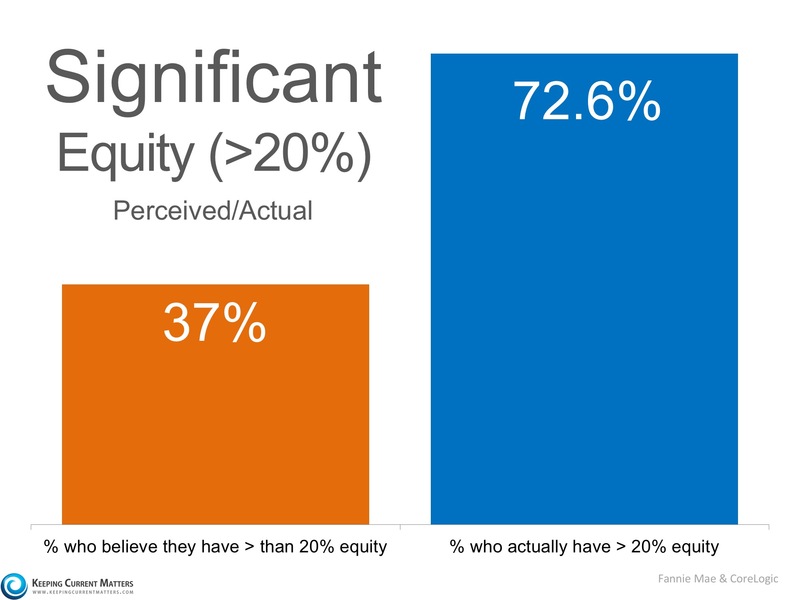 A survey showed that there was a challenge with the appraisal on 24% of all residential real estate transactions. It has become more difficult to get the banks to agree on the contract price. A red flag should be raised if your agent is not discussing this with you at the time of the listing. You will be moving your family to a new home. Whether the move revolves around the start of a new school year or the start of a new job, you will be trying to put the move to a plan. This can be very emotionally draining. Demand from your agent an appreciation for the timetables you are setting. Your agent cannot pick the exact date of your move, but they should exert any influence they can, to make it work.